One milestone for any child is when they start to lose their baby teeth. My mom kept all my baby teeth in a little jewelry box, but it would have been nice to have something special to keep them in. 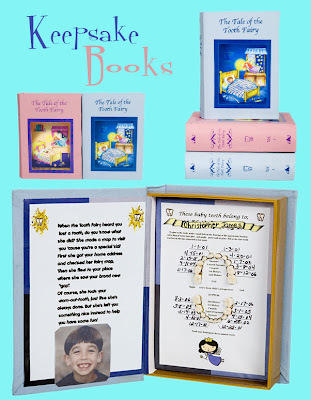 Tooth Fairy Keepsake Gifts has created a special keepsake book for your little one to honour the occasion. The Tooth Fairy Keepsake book will display your child’s teeth as they lose them. It’s a box that is formed in a hardback story book and on the inside shoes a poem about the Tooth Fairy and your child. It also has a diagram showing your child’s twenty baby teeth with the dental terminology so you will know what the name of each tooth is. There is a date entry lines so you can record when each fell out. As the teeth fall out, you poke a hole in the diagram and then by adding a little bit of glue, you push the baby tooth in to display then as they would have been in your child’s mouth. It’s designed to be an heirloom collectible for parents, grandparents and is something the child could show his/her children someday. 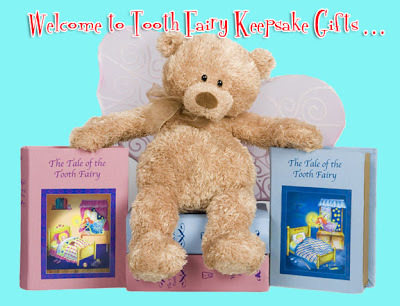 Would you like to win a Tooth Fairy Keepsake book for your little one? You can choose either pink or blue.